In the movie 28 Days, Sandra Bullock and the friends she’s made in rehab are given some pretty sage direction. Their counselor advises that before entering their next romantic relationship, they must keep a plant and a pet alive for a full year. The movie closes with a scene of a frantic man holding a dead plant, pleading with his florist to absolve him of responsibility for the plant’s demise so that he can begin dating again. We are notoriously horrible at maintaining relationships of any kind. We struggle to take care of ourselves, yet we seek to love another and are perpetually dismayed when it doesn’t work out. Pets and plants can be a great starting point for relating. Like us, they require nurturance to grow. They depend on us for their well being. This requires that we be able to depend on ourselves. Accepting these responsibilities can add structure and positive energy to our lives. Puppies and kittens are universally adorable. They’re also a lot of work. The idea of having something to love is incredibly appealing until it pees on your carpet. Moving away from impulsive decision-making helps ensure that our investments are sound. Seek opportunities to test your readiness. Dog sitting for a weekend can be a good indicator of whether you’re ready for this responsibility. Decision making in early recovery should always involve talking it over with your sponsor and keeping an open mind. We are learning to trust ourselves and improve our skills. When we step back and consider the pros and cons, we make better choices. 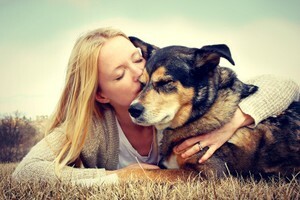 The benefits of pet ownership are primarily emotional: companionship, play, love. The clear costs of pet ownership are monetary. Spaying and neutering, shots, grooming, pet food all cost money. Like recovery, pets require our time and attention, regardless of circumstances. Animals are inherently vulnerable. We must have a solid foundation in recovery before taking on this responsibility because we’re in it together. If we make the right investment, both lives are improved. If we relapse, both fates are in peril. The best thing about pets is that they love unconditionally. They make very few demands. They don’t judge and yet they have a keen awareness of how we feel. It’s comforting to receive that kind of empathy and comfort without having to explain anything at all. You’ll never see an animal wallowing in self pity or complicating matters. Animals do things naturally. Dogs love to play and this teaches us not to take ourselves so seriously. They want to walk and run and this gives us motivation to get off the couch and outdoors. They’re social creatures. They provide us an easy way to connect with others. They break the ice for those of us who struggle to relate to people outside of meetings. Rehab centers and humane societies have many things in common. In both places our fates are uncertain and death is a very real possibility. Feeling rejected, abandoned, and unloved, we receive visitors and try our best to look OK when we’re not. We want to be saved. So do they. Sometimes we get the chance to give what we want to receive: salvation, redemption, safety. We tend to give of ourselves subconsciously. Symbolic choices and actions can still be deeply satisfying if they’re done consciously. Taking healthy pride creates new possibilities in our recovery. In many housing arrangements, exceptions can be made to policies that don’t allow pets. As a therapist, I’ve written countless letters attesting to a client’s need for a pet in order to appease a landlord. The benefits include having a companion and a healthy distraction from ourselves. A strong case can easily be made that they not only enrich recovery from addiction, but also any healing process. Pets are good listeners and accept the truths and feelings we can’t bring ourselves to share with others. Petting an animal is calming and for many is a form of self soothing. Caring and expressing love for an animal therefore can be a form of coping. I’ve served countless folks who derive a sense of safety from their pets. Animals are vigilant and extremely aware of their environment, just as we are. We notice they hear the approaching car before we do. They alert us to change and increase our awareness. Animals also happen to be excellent judges of character. This is inherently validating when you consider that they choose us too.